Organized religion has tended to devalue women and deny them power and influence. This includes organized Christendom throughout much of its history. Christendom is never as radical as the Bible. When we read the Bible, it becomes clear that God has always had different ideas about women from most religious leaders. In the beginning, when God created woman to become the “helpmate” to man, He did not create an apprentice or an assistant for the man. The Hebrew word for “helpmate” implies that the woman is equal to the man, even if God created the man first. The Fall separated man and woman from God and from one another. It brought a curse upon woman in which she became subordinate to the man. The world into which Jesus came was the world of the curse. That world put little value upon a woman. They held little social importance. Their testimony counted for little if anything. Yet throughout the gospel accounts, Jesus shows an unprecedented respect for women. The first persons to whom the risen Christ appeared were women. Their testimony to men of the empty tomb and His personal appearance brought Peter and John to the empty tomb and confirmed the truth of everything the women told them. This verification of a woman’s testimony is the first sign that Jesus’ resurrection broke the curse upon women that reigned from the Fall. Because of Jesus Christ, His sacrifice upon the cross and His resurrection, we who put our trust in Him live in the Kingdom of the Second Adam that restores God’s original intent for women. In the Upper Room, the Holy Spirit came upon men and women alike, with no distinction. From the earliest days, before the 1st century church degenerated into “Christendom” and “religion,” women played important roles as leaders, teachers and prophets. The leaders of the early church included women such as Lydia, Priscilla, Phoebe, Euodia, Syntyche, Chloe, Nympha, all of whom Paul commends for their good and faithful work. 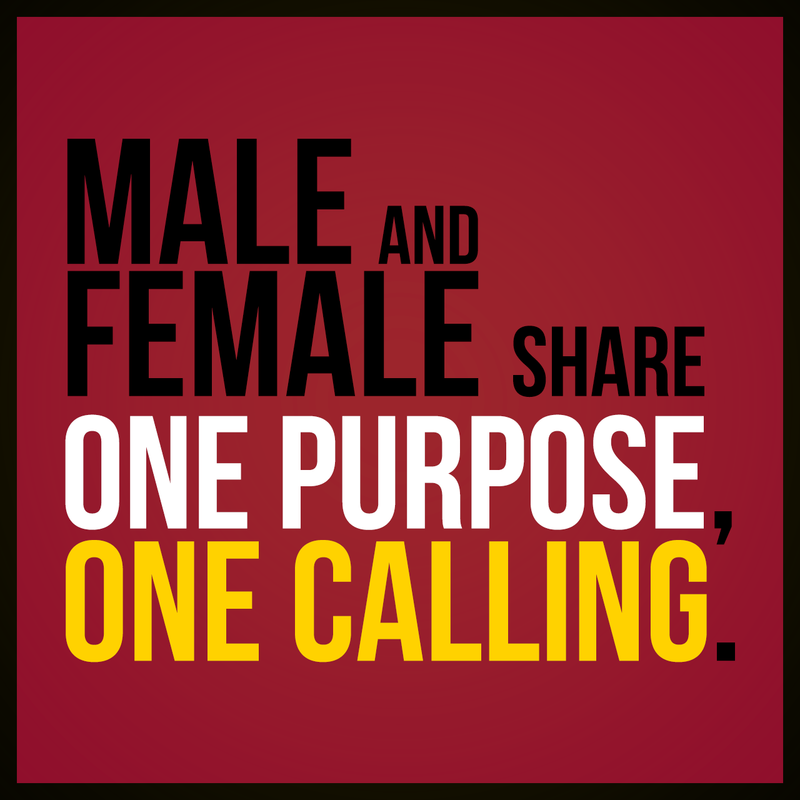 In Galatians 3:28, Paul says “there is neither male nor female; for you are all one in Christ Jesus.” That is, male and female share one purpose, one calling. The gifts and fruit of the Spirit belong to all. In some circles, much is made of Paul’s command in 1 Corinthians 14:34 for women to keep silence in the church. We do not have the space to discuss this in detail, but in the light of everything else said by Jesus and Paul, it is clear that this passage deals with a special circumstance that does not negate the overall message of the New Testament—God has ended the curse of women’s subordination and chosen women to places of ministry and influence. In other words, God’s special call upon women is part of the gospel message. In India, where women and girls still play subservient roles, and suffer from inferiority and degradation, we make a powerful witness for the gospel when we treat our wives, girl children, female relatives and sisters in Christ with the respect that Jesus gave to all women.